We are proud to present to you the latest S4 League content! Christmas has left the Netsphere! Gamer Boy is crazy about video games. He is so enthusiastic that he even carries his gaming setup on his back when he goes out. His gaming skills are by far the best in the world. He's number one in the video game world ranking. Even physicians are impressed by Gamer Boy's eyesight and reaction speed. Gamer Girl is a popular video game streamer. All gamers want to meet her, since she's at the top of the ranking. She's full of charm, excitement, and mystery. Her gaming skills are among the best. 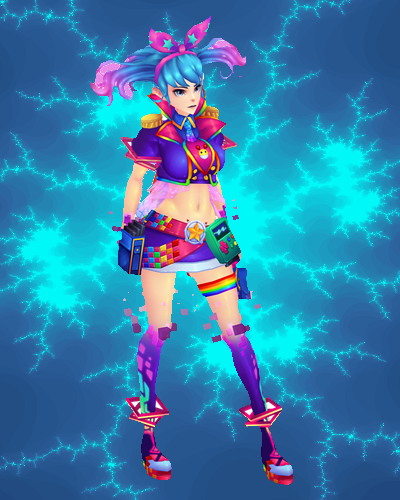 In fact, there are quite a few pro gamers who have been defeated in a match against her. An airplane-shaped shield made of 8-bit pixels with a rainbow glow. 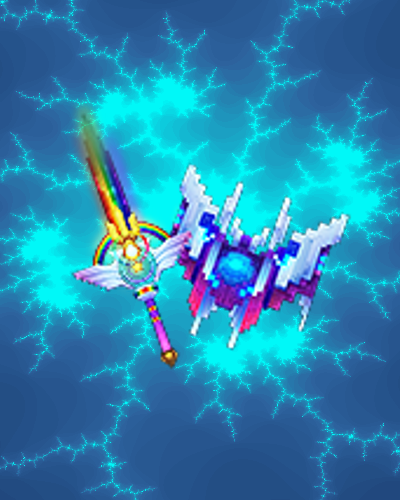 The Galaxy Counter Sword can defeat the enemy's attack with the energy of the Galaxy! - Repair System is now removed: Permanent items will no longer lose durability and users don't need to spend PEN for repairing. Sorry for the little lag recording, I changed my recording settings and for the future there shouldn't be any lag videos anymore. Sorry for the little lag recording, I changed my recording settings now and it should work without problems now. 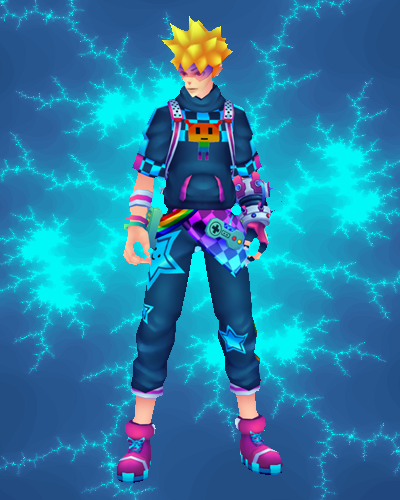 I love these items, they are very good ^ ^ I hope they give them in rewards of events. It's a nice weapon but it's still another Counter Sword skin none the less. The game already has enough. But if you're gonna release another CS skin, try a crusader one. How does the saying go? Deus Vult?